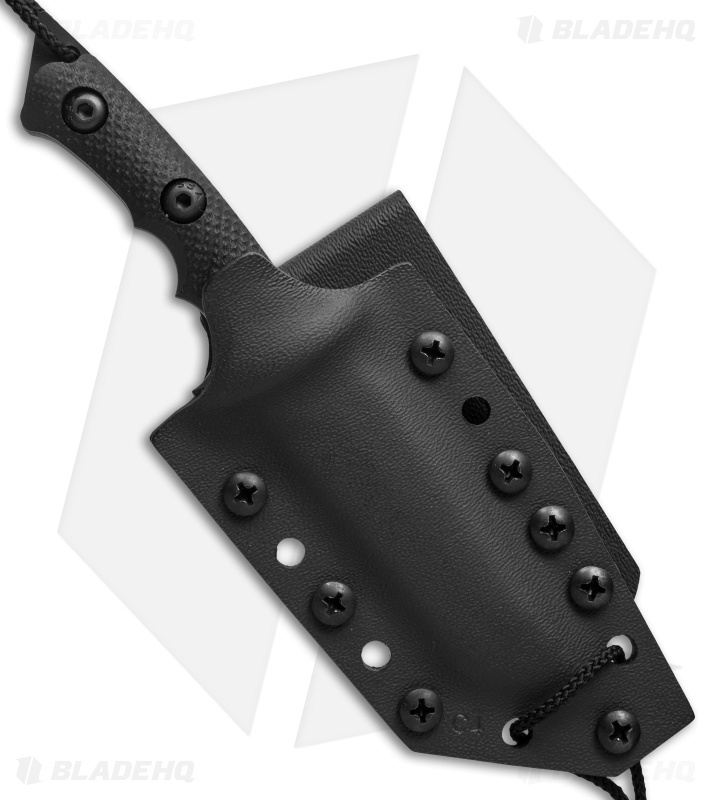 Mini Ultra Phalanx knives are a scaled down version of the original, but their miniature footprint makes them an ideal neck carry knife. They feature 1/8" thick Cerakote finished O1 tool steel construction with knurled, contoured scales – just like the bigger Ultra Phalanx. 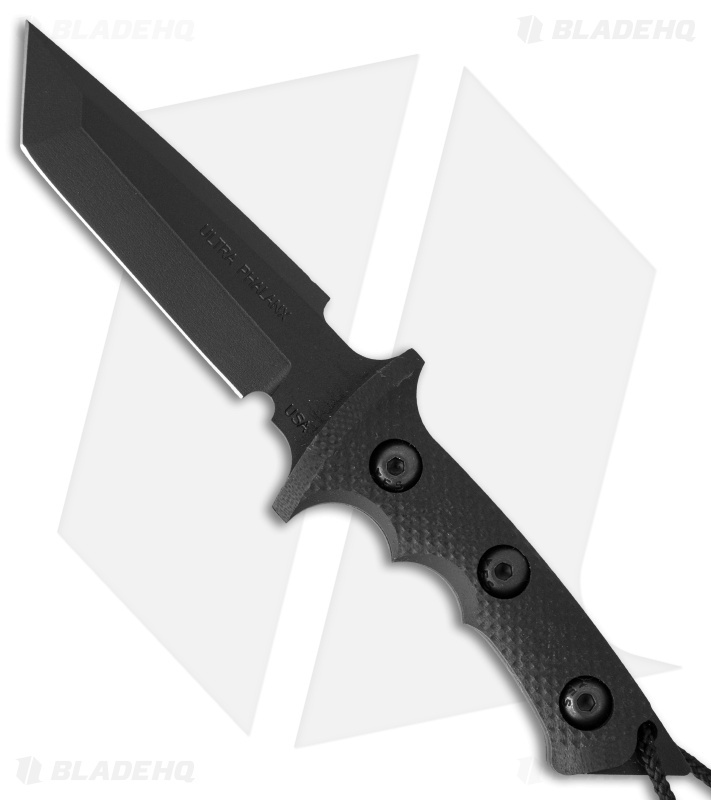 This one has a black finish and black G-10 scales. Includes Kydex sheath with neck cord and belt attachment loop.